I have those mini bundt pans as well. What are the baking instructions for those pans? How many does it make? (My pan makes 6 cakes). Hi Julia, My pan makes 6 mini cakes and this recipe fit perfectly. The one thing I found is that removal was a bit of a challenge because the crumb of the cake is fairly tender. (I don’t have much patience for fiddly cake removal either.) 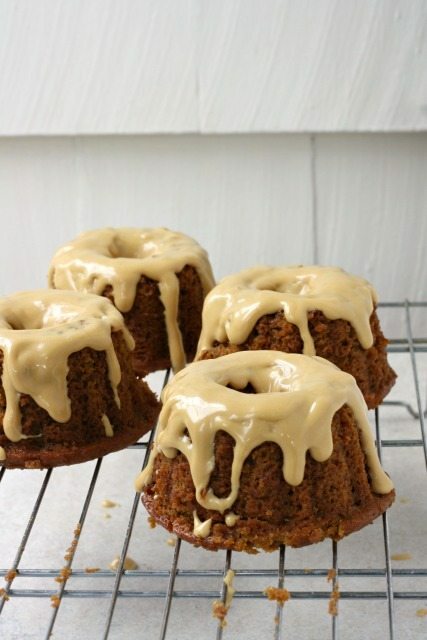 The mini bundts are so pretty though, especially with the glaze. I bet this would work as cupcakes/ muffins too. 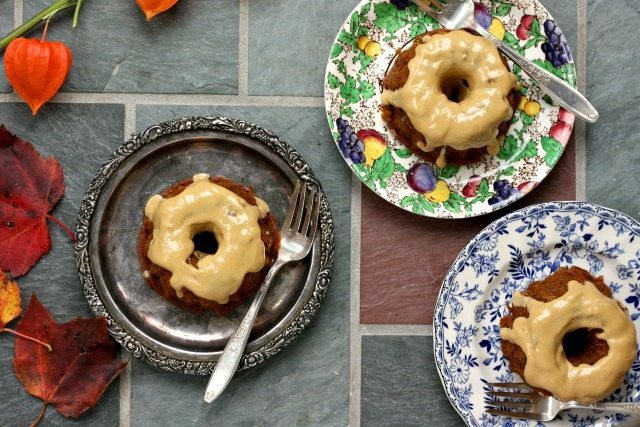 How long should the cakes cook if using the mini bundt pans (or muffin tins)? James, the time to cook will be reduced. They should only take 15-20 minutes, as they are in a smaller container. I hope this helped. 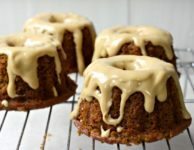 baking times seem to vary, mine baked in a tube pan 35 minutes and a bundt pan around 30 minutes……hope this will help someone! Hi Jerry, I appreciate this extra info, it’s a great help (for me and for readers). Thanks for taking the time to share. Does it have to be pumpkin purée? Will canned pumpkin, as in pumpkin pie filling, work? 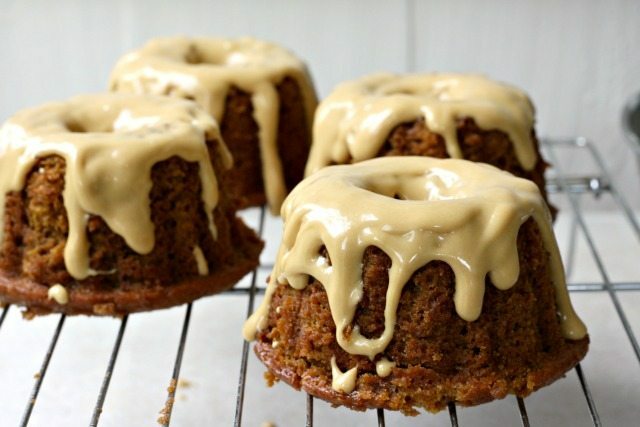 Hi Lindy, I have never used canned pumpkin pie filling in this recipe so am not sure how the cake might turn out. 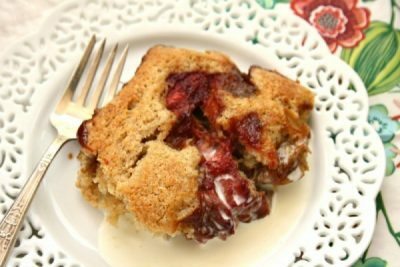 Pie filling has sugar and spices added to it so is a little different.